So, you are looking for a tee time at one of the best public golf courses in Minnesota – one of those higher end courses with the beautiful vistas, great conditioning, and significant challenge – which means there’s a high demand. Getting a tee time is not always as easy as picking up the phone, but that would be a smart place to start. Before you do, though, here are some tips on how to make sure you aren’t shut out from playing one of the many great Minnesota public golf courses. The first thing to do is determine your tee-time parameters. What day do you want to play? What time of day? Does morning or afternoon matter? How many players are in your group? If you’re solo, how many players would you be willing to join? These are questions you will be asked on the phone when you call up a course. In addition, you should consider what your maximum driving distance might be? Not off the tee, but in a car. In other words, when do you have to be back home from the course and is driving through rush hour traffic involved? You may want to consider which courses have the best pace of play, because a five-hour-plus round will certainly cut into your allotted time on any given day. Some courses have priority cards for golfers who pay a certain amount and get the first opportunity at tee times. The key there is to know when the remaining tee times are released to the public and be ready to reserve one. 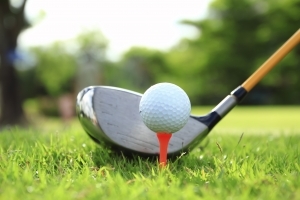 Some courses have restrictions as to how soon a golfer can begin reserving tee times, so if you have a particular course in mind, check with their golf shop to learn how far out you can make a tee time. The resort courses in Minnesota are some of the best tracks in the state, and many of them, such as Madden’s on Gull Lake, Cragun’s Resort, and The Wilderness at Fortune Bay offer an online option where a golfer can determine a day, time, and price point for their tee time with a click of a button. You can find special rates and packages to find a great deal, and you can even download an app for your smartphone to book your next tee time as you are walking off the 18th green of your last round. There are courses that offer deals for last minute tee times, such as on TeeOff.com, but you won’t always find the top courses listed there and you certainly can’t be choosy about tee times. The best method is to set your parameters, check the courses in the area to fit your schedule, do a little homework on the course’s website to find out their tee time policies and then either call as soon as you can or book it online. Some courses will list rates online for twilight golf and other deals, and show exactly what times are available. It might require a phone call, but you may also be able to find out if there are any events taking place or if the grounds crew plans on aerating the greens when you want to play. Booking online may allow you to do some comparison-shopping before you have taken up the time of a pro shop employee answering the phone, and you can be sure you have just what you want when you are ready to book. But beware, there are plenty of other golfers out there trying to book those prime tee times at great Minnesota courses such as The Pines at Grand View Lodge in Nisswa, The Jewel Golf Club in Lake City or Rush Creek Golf Club in Maple Grove – so you better be quick or they might get snatched up before you can click your mouse. So, set your parameters, research your courses and get on the computer, and you will have your next round at that great Minnesota course that you have been dying to play, right when you and your foursome are ready to tee it up.